I was born later in my parent's life; my dad was 41, my mom 38. Dad started his alcohol recovery during the time my mom was pregnant with me. I have a brother, who's 11 years older than me, and a sister who was about 16 years older than me. She's a half-sister, so I was never told for sure how old she was. I just turned 51 in December. My dad had severe heart issues and died before I turned two. My mom drank herself sick over his death. She drank a bottle of Drano when I was 6-1/2 and somehow lived. She ended her life by jumping off a bridge a month before my 9th birthday. I was sad, but relieved that my poor mommy wouldn't suffer anymore. Between age 5, about where I remember stuff, thru 12, I realized my brother had a massive resentment at me. I was very sick as a young child. I almost died twice before age three from pneumonia. Severe kidney infections hospitalized me, and I had a catheter in me for 10-14 days, twice. During the first kidney infection, I had a very high fever. It hurt. I was so scared, but a voice in my head said, "if you think this hurts, wait till you see what they have to do to fix it." So instead of doing what a typical five-year-old would do, tell my mommy, I kept my mouth shut, till I passed out. I regained consciousness a few times in the hospital ER. The doctor yelled at my mom how could she not know her child was so sick. I wanted to tell him don't fuss at my mommy; she's always ailing (I didn't understand alcoholism at that age, I just knew she was sick often, she fell many times, slept and cried a frequently). My next conscious memory is the same doctor telling, what I now assume was a nurse or another doctor, in a somber voice that my hymen was ruptured, and something about "other trauma." I didn't understand any of it. All I knew was I was always sick. I wanted my daddy, but he seemed to be disappearing from my memory. My fading remembrance of him made me sad. All the other kids in my neighborhood and at kindergarten had daddies except me. I was always scared of everything. I looked to my big brother to love and protect me. As mentioned earlier, he resented me. I forever felt his dislike. He called me ugly, hurtful names. He hit me, hard. I wanted his love and acceptance so badly; I didn't give up. Every Saturday morning I hoped with all my childhood heart that we would watch Scooby Doo together. My brother was big for his age, by 15 he was 6'2, weighed about 175. He'd lay on the couch, so I had to sit on the floor. Every Saturday I'd pray that he'd sit up and say sit with me and that I'd snuggle up in the crook of his arm. Instead, what happened was he'd say come here, I would, and he'd grab me around my throat and throw me to the floor and choke me out. Sometimes he'd stop before I passed out. I never told because I didn't want him to hurt mommy. That's what happened when I spoke once, and it wouldn't happen again. I learned around age 11 that our father was also an alcoholic. I learned that when he was very drunk, he beat my beautiful mommy, my lovely sister and my handsome brother. Dad was the senior engineer in the fiber forming section of the plant in our area, for a worldwide company. On the surface our family seemed perfect, dad was a scout leader, and he was genuinely respected and loved by his troop. No one knew what went on inside the home. Once, he forced my mom, sister, and brother upstairs, opened the window, took out the screen, began hitting them, grabbed mom and told my brother and sister he would kill all of them unless they jumped out the window. I was not yet born, I don't know how old my siblings were, but it seems they were pretty young. They jumped. One broke a bone in their wrist area, the other, their ankle. In addition to the physical abuse, my dad was emotionally cold to my brother. He teased him. He didn't show him respect or congratulate him on any achievements, no matter how hard brother tried. In my brother's mind, our dad sobering up for my birth and holding me and loving me was the ultimate abuse. What brother didn't understand was, our grandfather was emotionally withdrawn from our dad. He sent him to live with grandfather's sister and her little girl when he was two. My dad loved our mom, but somehow in his mind, her having my sister with my sister's father, tainted her. My sister wasn't his child. My brother, he treated as his father treated him, as told. It's not my fault. I was, in dad's eyes, an innocent, untainted baby girl, his baby girl, who he showered with love. I understand, as an adult, that my brother has, all his life, desperately wanted to be loved, respected, and accepted. I would've given him that. I wanted to. He didn't want it from me. Meanwhile, my sister had married a man with severe problems. He was the kind of abuser that cut her off from family & friends. In her isolated world, he reigned supreme, a cruel, brutal ruler, who punched her teeth out for daring to lock the bathroom door while brushing her teeth. The punishment for dancing while cleaning their army base row home in Missouri with the curtains open was far far worse. Again, I was young, mommy's drinking was still well hidden, and she was a full-blown alcoholic. She just was hiding it well. I was about six. We took a Greyhound Bus to Missouri from our home in West Virginia. Mommy said sister was in an accident, and we were going to help her and her two little girls. I was ecstatic! I LOVED my big sister, I LOVED my two dear little nieces, and they all loved me. Mommy saw my excitement. She sat me down and explained it was critical that I NEVER say anything about the "accident," especially in front of sister's husband. Mom told me I need to be a big girl and help clean the house and take my nieces out front to play, but we had to be quiet, that sister needed peace, calm and quiet to get better. She told me to be nice to sisters husband, that he felt bad about the"accident." My heart knew something was very wrong but did as told. On seeing my sister, I ran into the bathroom and cried. Instinct informed me it was important I wasn't heard, so I wasn't. Life went on this way, not a happy life, but I had survival instincts even then. Due to my health problems, my hair was very short, brittle, dry, and unhealthy. This era was the early 70's when white girls were supposed to have long, silky hair (think Marsha & Jan Brady if the Brady Bunch) to be considered beautiful. I was bullied over my hair. Even adults said hurtful things. I remember more than a few women, complete strangers, coming up to my mom, asking, "what's wrong with your child's hair?" By age 10 I knew I was the ugliest, most unacceptable, unlovable thing on Earth. After mom's suicide I lived with an older cousin and his wife and their children. I missed my sister and my nieces. I worried I was starting to understand what all the "accidents" were. I lived physical, mental and emotional abuse at big brother's hand. I just prayed, hoped, wished on stars that my sister's man wasn't hurting her and my baby nieces that way. I was starting to think all males treated all females this way, starting to NOT TRUST MEN! An example of brother's mental and emotional abuse, mom's alcoholism was full blown. We were always broke, and I was hungry all of the time. There was never enough food. My brother came home with 1-1/2 slices of a large pizza, (he was making good money selling pot, I later found out, and selfishly kept every cent to himself). My sister had enough gas in her car that she took my nieces to a friends to see if they could eat there. I didn't go. The lady seemed mad the last time, and my sister didn't get offered much, so I thought if I wasn't there maybe they'd all eat well. My brother sat the pizza box in front of me and opened it. It smelled so good and looked so good. It was late now and very dark, (this happened before mom's suicide). I'd was caught going in neighbor's homes and helping myself to peanut butter sandwiches or ham and cheese if I was lucky. I'd try to look innocent and cute. I did it at kids Id played with's homes. I'd say,"I cam to see if Jenny wanted to play & I was hungry. She & I made sandwiches last time we played, I thought it'd be okay as long as I cleaned up, and it gave me something to do while I waited", then Id flash my best smile. It always worked with the grown-ups. Somehow my brother found out; I got hit, and he told me never to do it again. I'd get hit worse. So all day I'd had the heel of a loaf of bread. 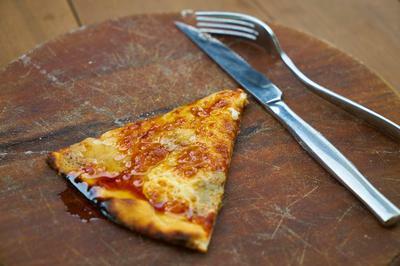 I was so hungry that I reached for the slice of pizza. "NO!" brother shouted, slapping my hand. I pulled my hand back, fighting to keep tears from falling down my face, (crying and or flinching got me hit more). He said to me, "you can be a selfish little pig and eat all this pizza (1-1/2 slices), or you can wait to see if sister and the girls got to eat." I did cry then. Would it be selfish? Had they eaten? They'd smell it. I didn't know what to do. Hunger won out. I ate it. Brother taunted me the whole time, "Nice! While you enjoy that, I bet they're out there trying to get someone to feed them!" and so on. About a 1/2 hour after I finished, I threw it all up. My childhood set the stage for my relationships as an adult. None of them were good. I have not finished my story. My mate's drug and alcohol addictions are destroying my current relationship. While he's at work, I do housework despite being incredibly sick. The doctor says it's something viral, with bronchospasm, acute laryngeal, and severe fever of 101.4. I want to tell the rest of my story. Like all my brave, beautiful, smart sisters out there, I don't want anyone else to suffer like we have, or pay the ultimate price. I hope to finish my story within the week. Thank you for hearing it so far.